All funds raised will go to Eric Olson, the organizer for Hopyard Supplies and medical and equipment expenses. 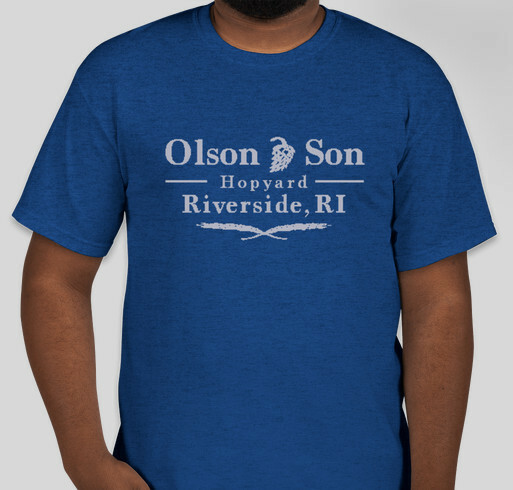 Join the team and help support the Olson & Son Hopyard with our Spring 2016 limited edition T-shirt! Proceeds will help offset the continued costs of Liam's medical equipment as well as the replacement of hopyard ropes, mulch and any other things that help either Liam or the hopyard. I follow Olson and Son on Instagram, couldn't think of any Merch I'd be prouder to rock. Keep up the good work guys. Great cause for a great family. Thanks for all your support! Looking forward to the future of small hop farmers! Share Why You Support "Olson & Son Hopyard Spring '16 Tee"